The top of Thompson Ridge offers trail users panoramic views of the Methow Valley and Sawtooth mountains. Construction of new trails at Sun Mountain for mountain bikers and other users will continue this year, and the organization that is spearheading the trail expansion is raising money to complete the project. 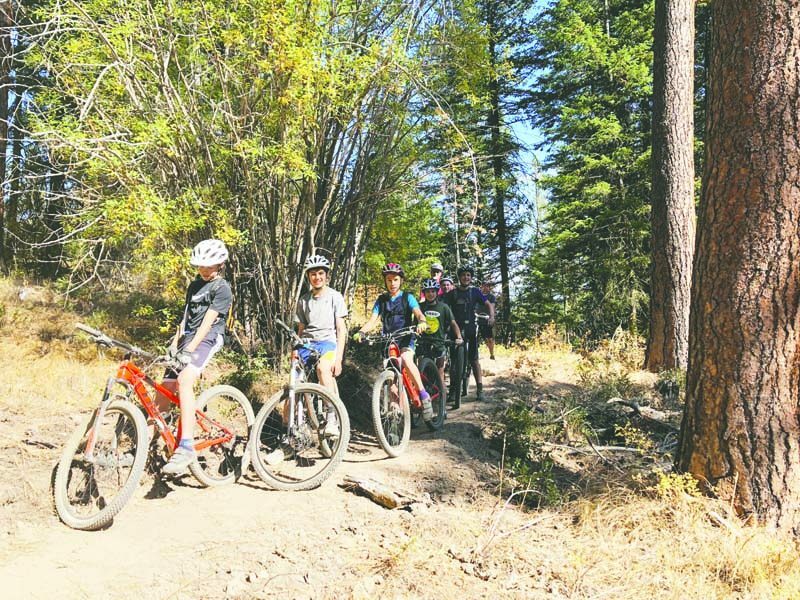 The Methow Valley chapter of Evergreen Mountain Bike Alliance (EMBA) last year completed about 8 miles of “some of the best and most progressive singletrack in the valley,” said Josh Gewirtz, president of the Methow Valley EMBA chapter. Called the “Chickadee/Sun Mountain Project,” the trail expansion will add 22 miles of new trails to existing trails at Sun Mountain, providing a network of about 35 miles of singletrack riding, Gewirtz said. To finish the project, the Methow Valley EMBA is working to raise $67,000 this year — $10,000 of it by April 1. The focus of this year’s trail building is completing the centerpiece of the Sun Mountain expansion — the Thompson Ridge Trail. About 7 miles needs to be built to finish a 14-mile loop that takes trail users to the top of Thompson Ridge, elevation 4,700 feet, where the ridgeline trail offers sweeping views of the Methow Valley and surrounding mountains. The Sun Mountain trails are being constructed by professional trail builders and a small army of volunteers, Gewirtz said. Last year the bike group organized more than 30 volunteer work parties that produced more than 800 hours of trail work. This year Methow Valley EMBA plans to bring in a crew of three professional trail builders from the state EMBA, to work on completion of the trail project. “We’ll have a full-time crew based in the Methow,” Gewirtz said. The project will continue to use volunteers extensively to work alongside the professionals, Gewirtz said. Money raised by the bike group will pay for the trail building professionals as well as equipment, such as mini-excavators, used to construct the trails, he said. The funding will also pay for “proper signage and maps that have long been missing from the Sun Mountain trail system,” Gewirtz said. 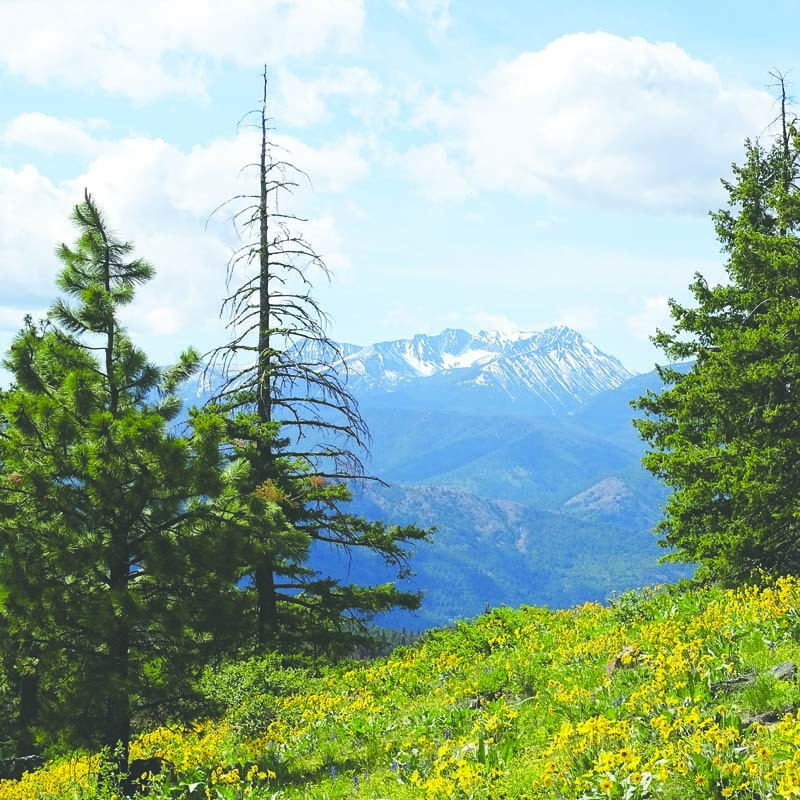 The Sun Mountain trail system is on U.S. Forest Service land, and Methow Valley EMBA began working with the Forest Service several years ago on planning and permitting for the new trails. “This is over a decade in the making,” Gewirtz said. Last year’s construction included a 3.1-mile climbing trail to take riders and other trail users to Thompson Ridge, 2.5 miles of the ridge trail, and about 3 miles of extensions and improvements to other Sun Mountain trails. The interconnected trail system offers a range of difficulty for riders, from beginner to expert, Gewirtz said. Although the trail building effort is being led by the mountain biking group, the trails will serve different recreational users, including trail runners, hikers and horseback riders, Gewirtz said. Total project cost for the trail expansion is $230,000 and Methow Valley EMBA has raised about $170,000 to date, Gewirtz said. The local chapter has also received support from the statewide organization, which has designated the Sun Mountain project a priority. 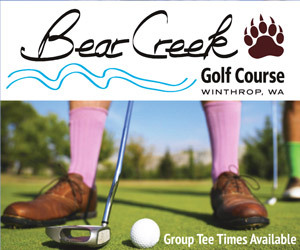 “It’s really great to be part of an organization whose main intent in investing back into the community and into our recreational infrastructure,” Gewirtz said. The investment will pay off by attracting people from around the region and the country to use the trail system, much like the ski trails bring in tourism dollars during winter, he said. “Our summer recreation can really be enhanced, and that’s what we’re working on. This will be an economic driver,” Gewirtz said. Methow Valley EMBA plans a “trail building kickoff party” on April 27 at the Old Schoolhouse Brewery Taproom in Twisp. The event begins at 5 p.m. and features music and beer. For information about Methow Valley EMBA and its trail plans, visit www.evergreenMTB.org. Information on how to donate to the Sun Mountain project is at www.evergreenMTB.org/support-us/donate. Local students enjoyed an outing on a completed section of the Thompson Ridge trail.